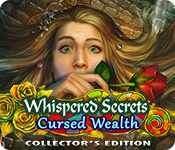 Whispered Secrets: Cursed Wealth Collector's Edition is rated 4.2 out of 5 by 31. Rated 5 out of 5 by lynnminer from BEST game in the series! I have played most of the games in this series and this is definitely the best one! I love a good murder mystery that makes you think one person did it and then you decide another person did it because the evidence keeps pointing to different people. You have an evidence box to keep the evidence organized. There is so much to do and I was never bored, not even for a second! I have three words.....BUY THIS GAME! Rated 5 out of 5 by Italia47 from Whispered Secrets is no longer a secret! I solved the mystery! Grandma Studios developers, you're all right! I really enjoyed this CE version and all the features you offered in it. Got a lot of bang for the buck! I'm very impressed! I don't need to elaborate, others do that better but I loved the hidden objects scenes, finding the Sin cards, morphing objects. And about the Sin Cards, if you don't collect all 52 of them you can't play the epilogue but when you click on the interface that shows how many you collected within a scene, you have a chance to retrieve them and continue to the Epilogue. Very clever! The voiceovers were great, the graphics--awesome. The mini-games and puzzles--right on! The map was very useful and effective as well as the hint button. The game was pretty challenging, easy in some places, hard in others. There were a couple of objects I could not decipher but I figured it. I haven't used the guide in a very long time but it's good to have around just in case. So, good job developers! Keep up the good work! I highly recommend this game! Rated 5 out of 5 by gamergirl675 from Fantastic! Finally a CE worthy game! I've almost completely stopped buying CE games because paying double just for extras I rarely use is a waste. (And a lot of games I don't even want to play the bonus game because it's clearly a quick addon with no real play value.) But this one is actually worth the money! Morphing objects, puzzle pieces, and sin cards to collect AND if you collect all the sin cards you find a secret bonus game... so you get the extra bonus game typical of CE's but you also get the second hidden bonus game if you collect all the cards. Not only that but this dev nails it by letting you go back and collect them if you missed any! I was trying to find them all during play but I somehow missed one and thought I would be out of luck but NOPE! This dev has got your back! You can go back and find the ones you missed. My only "wishlist" item would be to add more puzzle pieces as I love putting them together after finishing the game. I am also a fan of the evidence collecting... it would be better if they didn't highlight where the evidence goes and instead allowed us to figure it out but that's minor. Even better would be having a hard/easy mode so for those who don't want to think it would be highlighted and for those like me up for a challenge you get to figure out where the evidence belongs. I'm actually going back to check out other games in this series I was so impressed with this one. Rated 5 out of 5 by jerenemas from just great We play a lot of Big FIsh games (over 250 payed downloads over the years). But this is our absolute favorite. Great minigames, great story, and it took us a long time to finish! Rated 5 out of 5 by timothya from Whispered Secrets, Shouted Praise Ah, for a really great detective mystery! No magical princesses in this one, just a gritty detective hanging in there and a nice, tightly-plotted whodunnit with a wonderful outcome...oh, but they make you work for that even after you think you've solved the thing! Pros: spectacular graphics, color-saturated and detailed. You can almost feel the rooms as you traverse them, which is a good thing because you'll be traversing them a lot. Atmospheric music, convincing voice acting, and writing good enough to have its own mention below. Some of the puzzles were pretty challenging at times. Cons: the map does not, unfortunately, indicate available actions (unless perhaps I turned the difficulty level up beyond it). That meant I used the Hint button more than I like to. It's a deliciously convoluted plot but sometimes that made it difficult to tell where one might find the next piece. Writing: yes, a mystery! Each character is fleshed out enough to be a genuine suspect as well as something more than wallpaper. The Bonus Chapter isn't quite as good as the main game but wait, there is a third, but they make you scramble back through the various scenes (I plodded, they're beautiful) to find the Sin Cards before you get to one more glorious HO scene and a very sweet resolution to the plot. Don't blow it off, it really completes the game. Overall, a sense of satisfaction upon completion that I haven't had for some time. For mystery lovers an unreserved recommendation. Rated 5 out of 5 by TheRealMagicJack from Simple and Fun Game with a Story I Followed I blew through this game on the hardest mode, and ended very satisfied. The mini-challenges could have been more difficult and they did toss a couple that required me putting on my thinking cap, but generally they were very simple to accomplish. That's not a gripe however, as the game has other qualities to it. The story is intriguing, the atmosphere and art is great, and the game was fairly long. It's definitely one of the best I've played in recent memory and I was bummed when it ended. Highly recommended. Rated 5 out of 5 by IsleofLadyK from Awesome! I am so impressed with this game! It's fun and exciting, the graphics are tremendous, the music is very nice and I look forward to getting into the story/game each and every day! Rated 5 out of 5 by lincslady from Great Game! 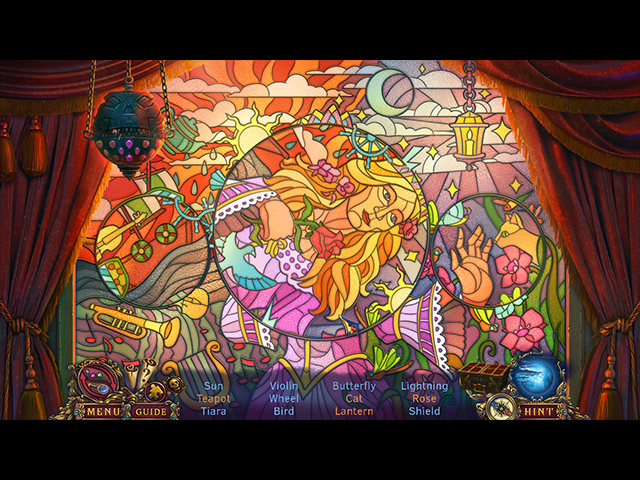 Everything about this game is just like all hidden object games should be. Storyline Graphics and fun factor all very good! Rated 5 out of 5 by heartblob from uncover the dastardly secrets IF YOU CAN ****** excellent game excellent graphics enjoy looking for the morphs and the sin cards , hos different and very good , morphs not so easy to find so plenty to keep busy... I find the music a bit annoying but that can be turned off , puzzles some different ones some old ones all good, enjoy it is a worthwhile game . 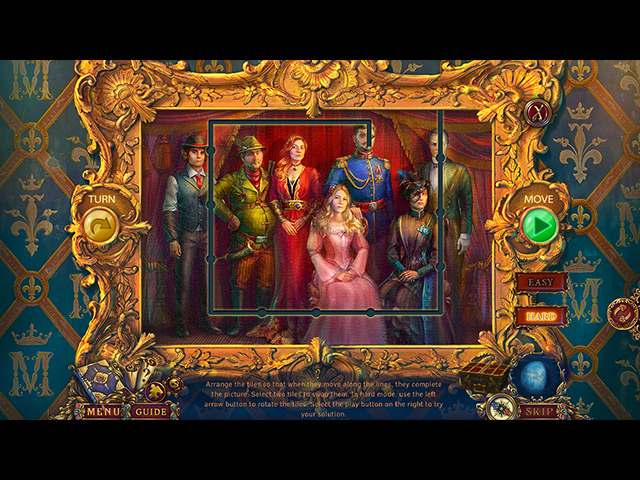 Rated 5 out of 5 by greenshade from Best Hidden Objects in a game yet! What a gem of a game!!!!!!!!!! Loved it. 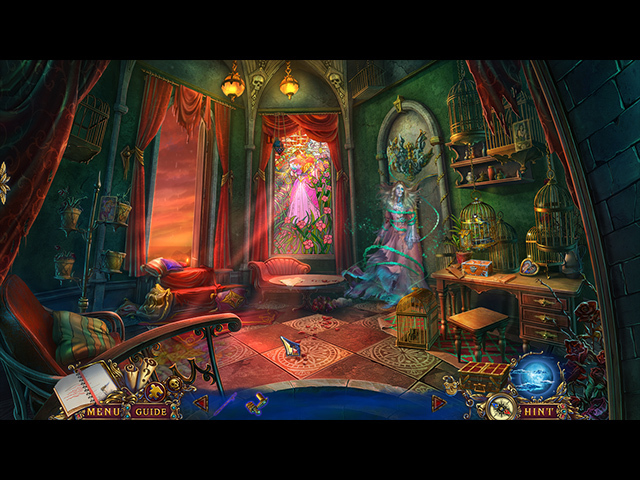 The hidden object scenes were SO varied and original. I usually won't purchase a game with twice as many puzzles as HOs but this particular game offered so many that even I actually enjoyed and didn't skip for a change. At one point (I think it was in the guide) I spotted "time played" and intended to go back and check it out before the main game was over but forgot. I WISH somehow that feature was more available and visible when one finishes a game.. that all developers would do that. Bonus game was average in length and fairly fun, too. I think that so far in 2019 this game is at the top of my favorites list and I will probably replay sometime in the future while waiting for another Grandma Game .